Congratulations to Barbula, who has won our Marblz DPN giveaway this month! We will get in touch to arrange for the delivery of your prize. 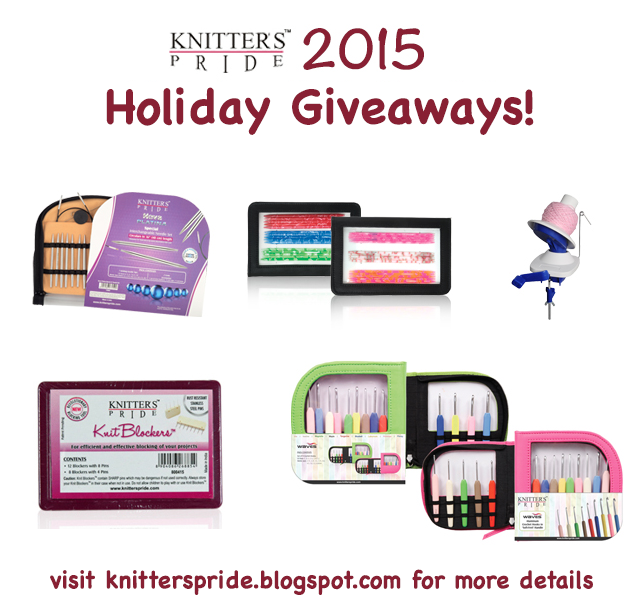 Thanks to everyone who entered this month's blog giveaway! What's at the top of your wish list this holiday season? 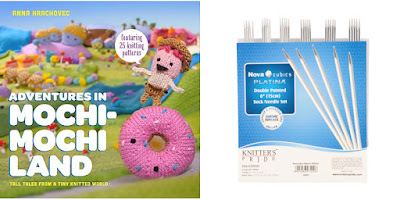 Today, we'd like to share some of our top picks for knitters and crocheters; you may want to send this link to your friends and family to give them a hint or two - we've conveniently arranged this year's list by craft to help folks find the perfect gift for everyone on their list! An interchangeable needle set is perfect for prolific knitters, and we have a quite a few to choose from (click here to see them all). 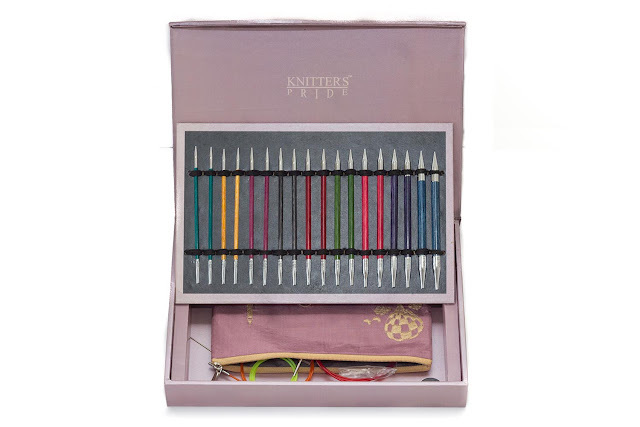 Our limited edition 2015 Holiday Gift Set, Royale, is the ultimate set to gift this year: we've paired our color-coded wood needles with sharp brass tips to provide an unparalleled knitting experience. Marblz needles are another crowd-pleaser, and we offer both Interchangeable and Double-Pointed Needle sets in this line. Each needle features a unique marbled pattern in a range of eye-catching colors which are color-coded for easy size identification. 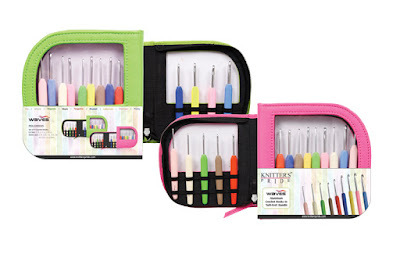 Waves Crochet Sets continue to be a favorite among crocheters; each set includes 9 crochet hooks with ergonomic soft grips which are color-coded by size. 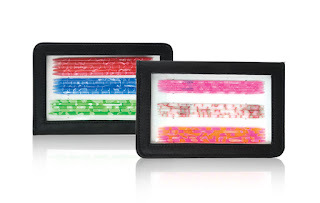 Choose from a fluorescent green or pink faux leather zip case they can take on the go! 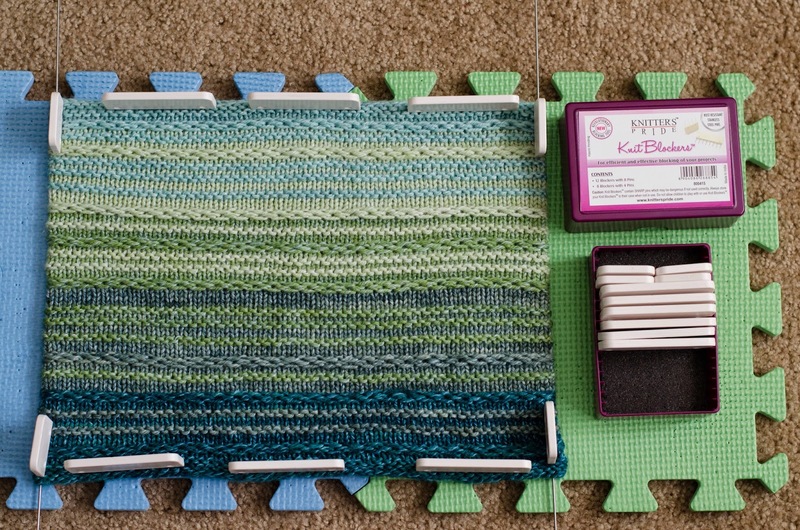 Our Knit Blockers are the blocking tool everyone needs - don't let the name fool you, they are great for finished crocheted projects as well as knitted ones! 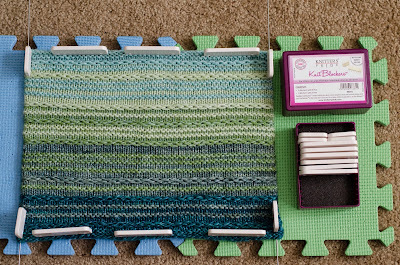 Click here for our Knit Blocker tutorial from the Knitter's Pride blog archive. A roomy tote bag makes crafting on the go a breeze! Each bag includes a matching notions case and yarn bag, and other clever features include a spot for storing a mobile device, a key fob, and two inner zipper pockets secure other valuables. Choose from 3 styles (shown below, from L-R: Danube, Rhine, and Volga), we also offer coordinating needle and hook storage cases in each line! 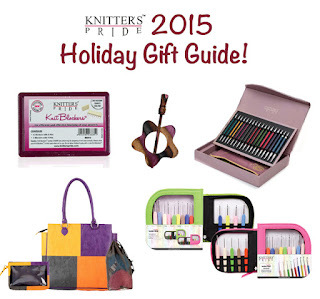 If you're looking for stocking stuffers, guild gifts, or something for everyone in your knitting group, we've got plenty of affordable ideas! Zooni Bead Stitch Markers come in 17 colorful styles to suit a variety of tastes. 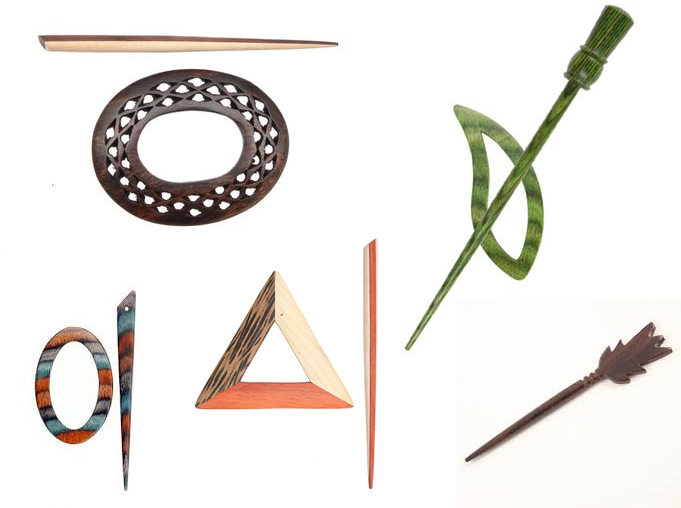 We also offer many different styles and colors of in our range of shawl pins - below are just a few of the many options! If you're planning to knit or crochet gifts for your loved ones this holiday season, we're collecting lots of great pattern ideas here on Pinterest, many of which are available for free! Shown below is the Gingerbread Boy by Sara Elizabeth Kellner. Wishing all of our fans a merry and festive holiday season! 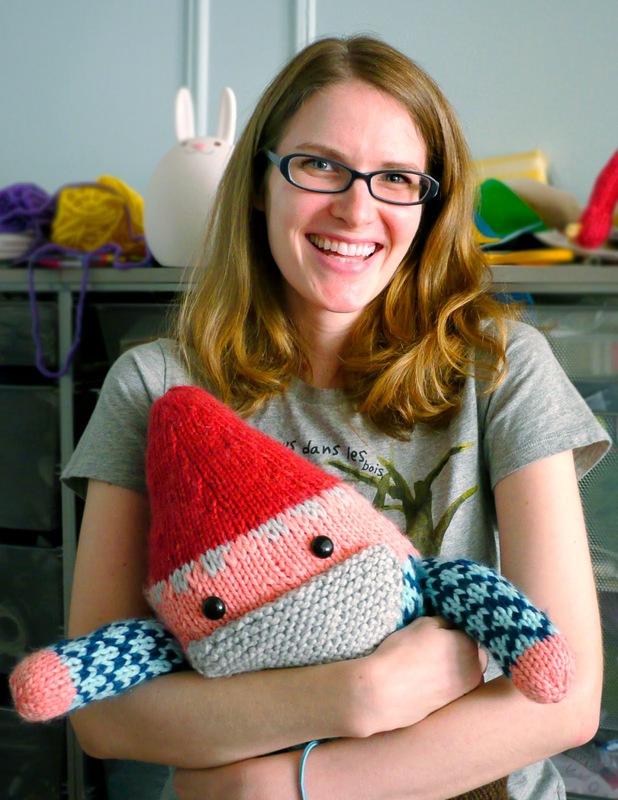 This month, we have another designer spotlight to share with our readers! Angela Tong recently used a variety of Knitter's Pride double-pointed needles while filming her newest Craftsy Class, My First Mittens and Gloves. 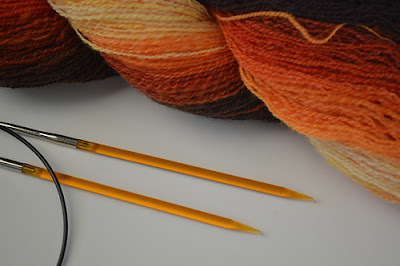 This beginner-friendly class is a great introduction to knitting on double-pointed needles (DPNs), and Angela does a great job of explaining how to choose the right type of DPNs for your project! 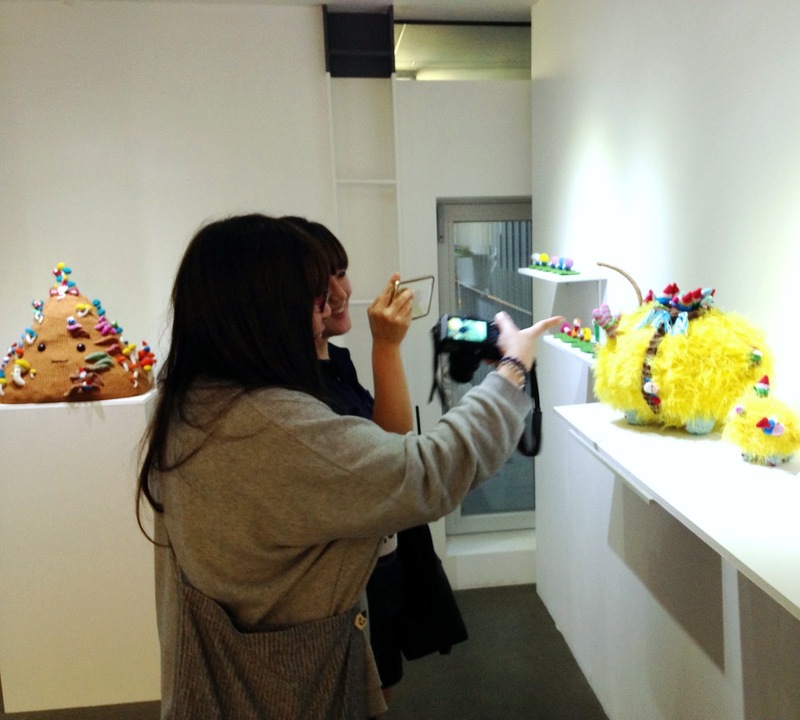 In addition to teaching, Angela is a knitwear designer, weaver and hand spinner. 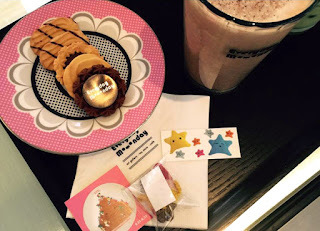 We hope enjoy getting to know her better on today's post - enjoy! 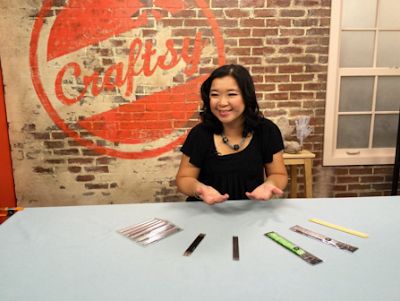 Angela on the set at Craftsy with a selection of Knitter's Pride DPNs. How long have you been knitting? Weaving? 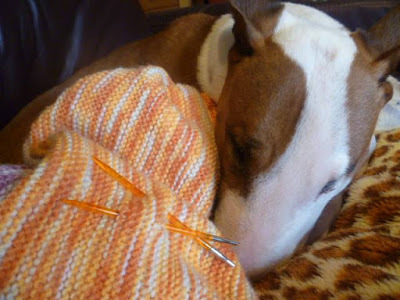 I have been knitting for 14 years, since 2001. I learned to weave on the rigid heddle loom in 2009. Where do you find inspiration for your knitting designs? I have an eye for details. Even ordinary things that I encounter during my day can spark an idea. I use to live in Brooklyn and I found myself being bombarded with inspiration everywhere I walked. It could be what someone was wearing, a window pane on a building, or even a doorway. 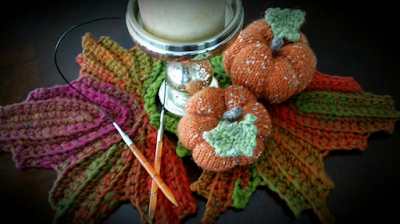 I use the inspirations to add details to my knitting designs. 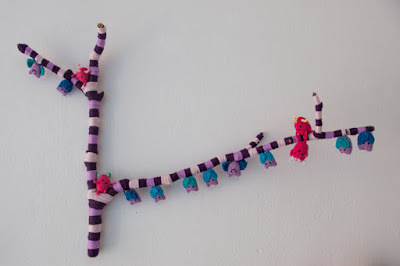 For weaving, do you use specific patterns or make up your own? I definitely make up my own. It's fun to experiment on the loom to see what kind of fabric can be made with what I have on hand. I tend to use mostly knitting yarns for weaving because that is what I have a lot of. 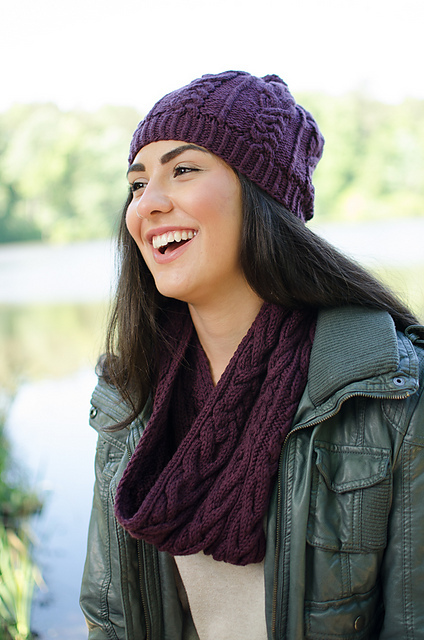 What do you love most about knitting? Weaving? 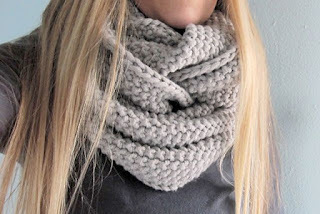 What I love most about knitting is that I can take 2 sticks and yarn to create something that can be worn, used or be decorative. It's so basic yet there is so much you can do with it. I love weaving because I find it meditative. Once you set up the loom, you can go on auto pilot and just repeat over and over again to create fabric. Tell us a little bit about your new Craftsy class, and why you chose to focus on DPN needles. My newest Craftsy Class is called My First Mittens and Gloves. 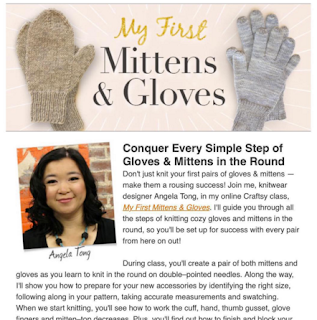 It's focus is to teach knitters how to knit their first pair of mittens and gloves. 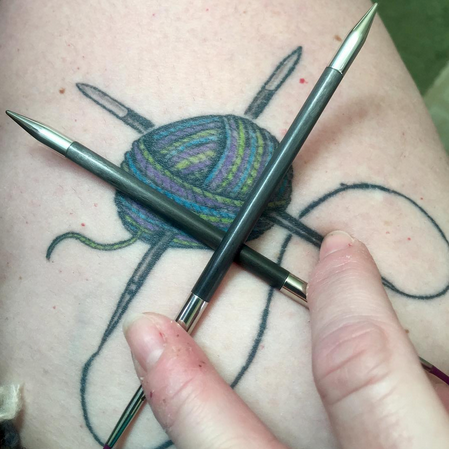 I chose to teach the class using double pointed needles because I believe we all should learn how to use double pointed needles. 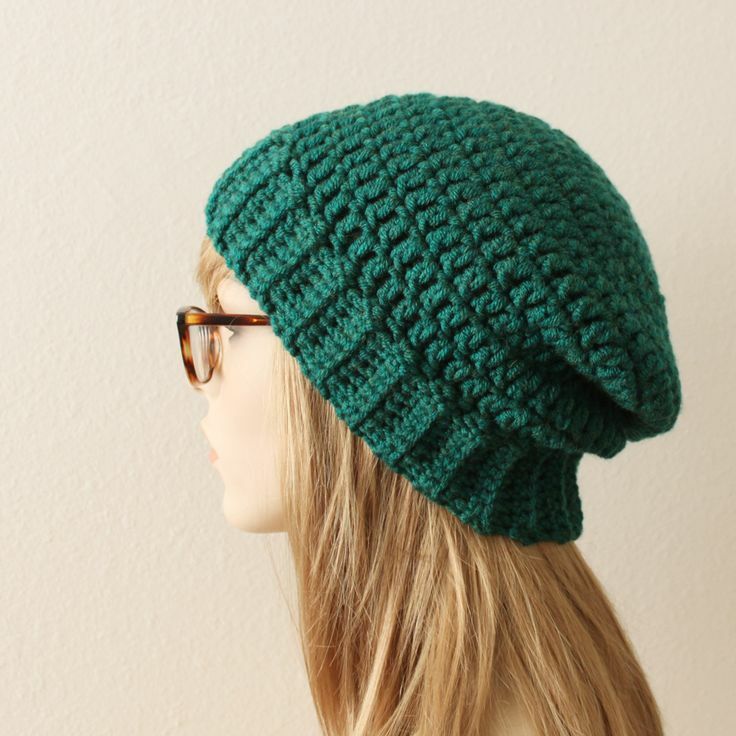 It's a knitting skill that can be applied to other different types of patterns. 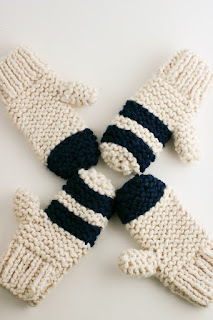 Plus, it's really much easier to knit fingers and thumbs using double pointed needles. 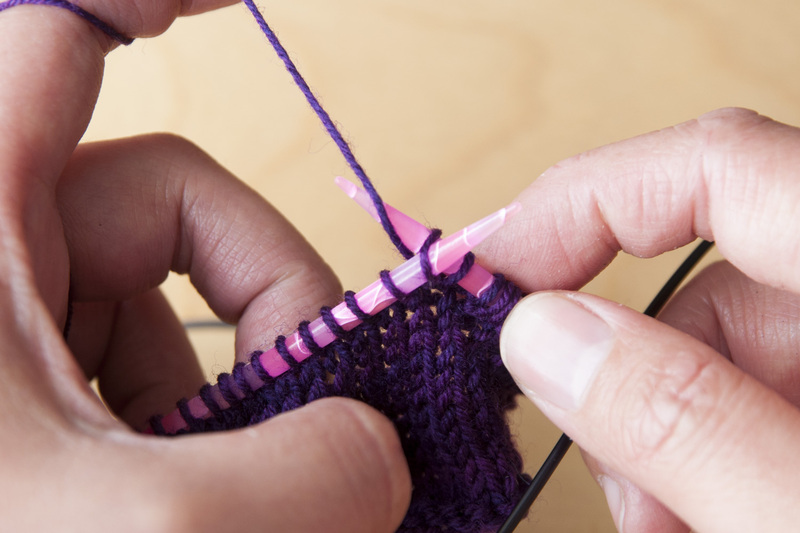 What is your best knitting tip for beginners? Making mistakes is good. 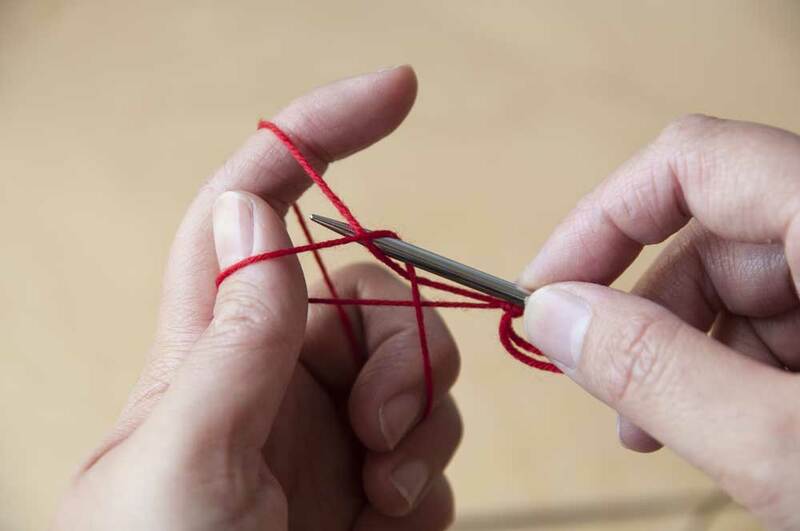 That is how you learn to be a better knitter. I have learned so much by tinkering back my knitting mistakes. Angela Tong is a fiber arts designer based in New York and New Jersey. Her designs have been published in magazines, books and yarn company pattern collections such as Interweave Knits, Knitscene, Knit Simple, Scarf Style 2, Free-Spirit Shawls: 20 Eclectic Knits for Every Day, and more. She is a certified knitting teacher through the Craft Yarn Council of America’s Certified Instructors Program. 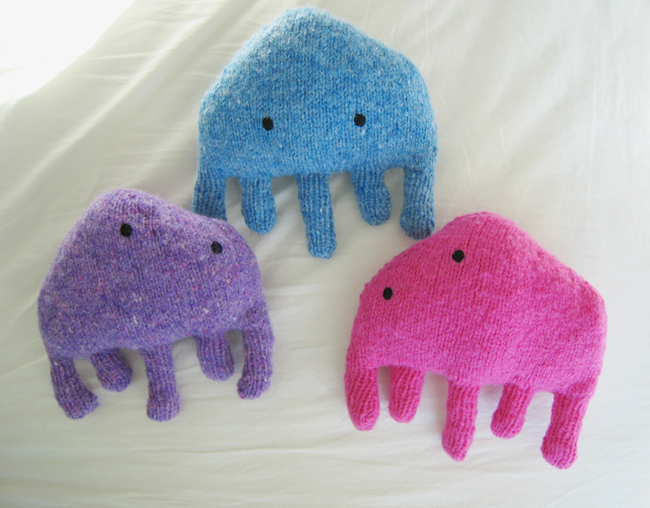 You can view her designs here on Ravelry and follow her blog here. This month, we're giving our blog readers a chance to win a Marblz DPN set! If you're excited to try knitting in the round with DPNs, leave a comment on this post telling us which pattern you would most like to make using our Marblz DPNs. 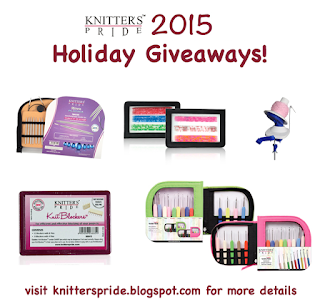 Remember to also tell us your Ravelry ID or email address so that we can contact you if you win. We will randomly select one lucky winner to announce here on the blog on Friday, November 27. Good luck! We've seen some beautiful projects come out of the Summer Neckwear KAL with Laura Chau, you can see all the photos in the Knitter's Pride Ravelry group and on Instagram by searching #KPchauKAL. 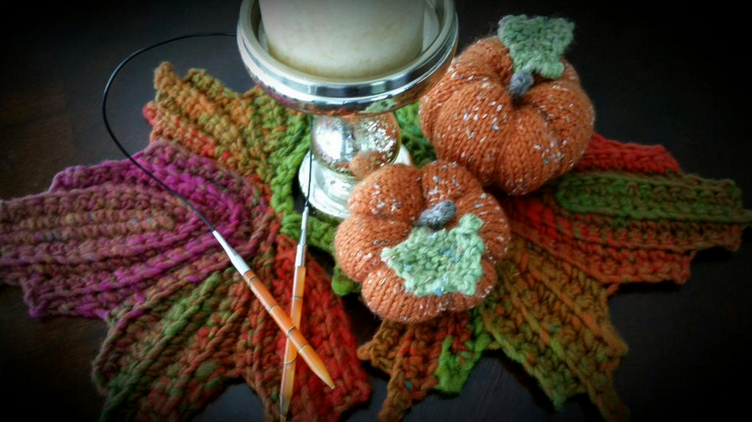 Just Enough Ruffles knit by Ravelry user Balinan. 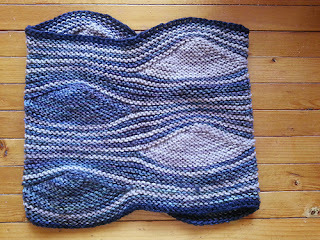 Turbulence Cowl knit by Ravelry user Shirlyn. 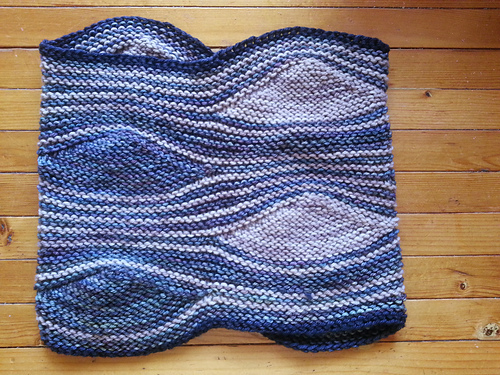 Leonarda Shawl knit by Ravelry user Stefaniegrrr. 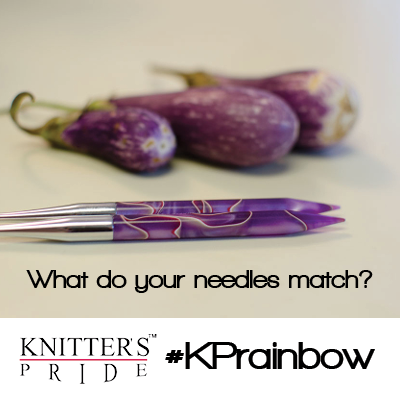 Congratulations to Stephanie, who said "These are all drool worthy, but if I had to choose, I'd pick the Karbonz Single Pointed Needles. These are all beautiful sets, I'm probably adding them all to my wish list! 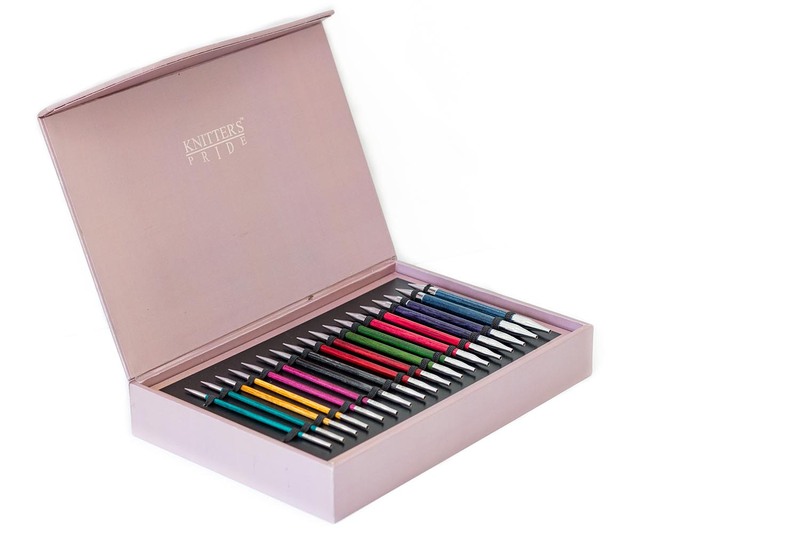 ".You've won a Nova Platina Cubics Deluxe Interchangeable Needle Set. We'll be in touch to arrange delivery of your prize. Thanks to everyone who participated! 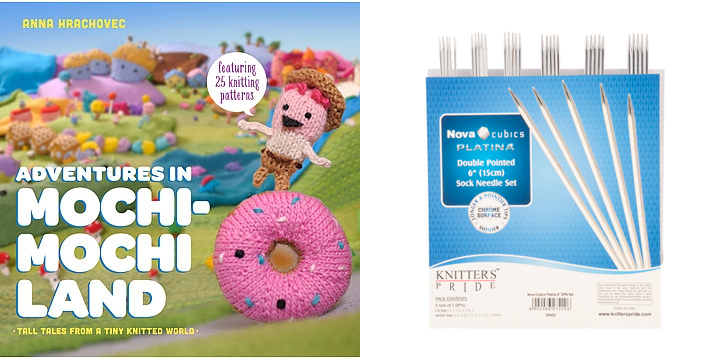 We have a ton of great new product coming out this fall, and here are some sneak peeks to new Knitter's Pride tools and accessories that will be arriving at your local yarn shop! 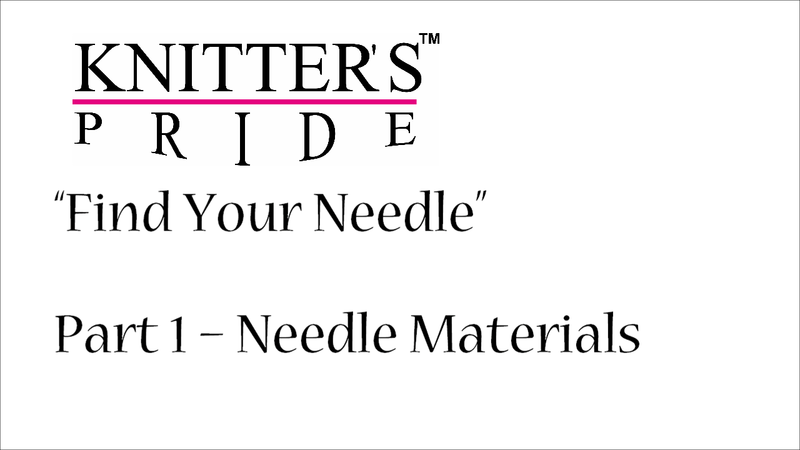 Due to customer demand we're excited to announce we'll be releasing our popular Marblz needles as new Interchangeable Circular Needle sets, Special 16" Circular Needle Sets, and Double Pointed Needle Set. Our Marblz needles habveb been developed by a artisans so that each needle is unique. Gradually tapered sharp points are ideal for all knitting projects. These needles are lightweight, smooth, and have the perfect amount of flexibility and durability! 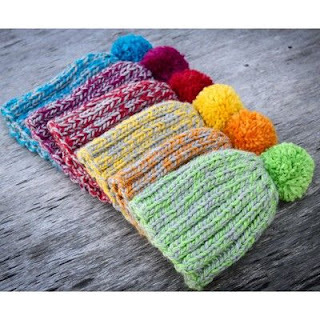 This fall we're introducing Colored Cords for interchangeable needles! You can now easily find the perfect length cord for your project without needing to measure: 8" yellow, 11" blue, 14" green, 22" orange, and 30" red. We've added new styles to our popular and stylish Zooni Stitch Markers! Each set of 7 markers contains one unique marker perfect for marking the beginning of your round. Our popular carbon fiber Karbonz needles have shiny, smooth brass tips and a lightweight warm to the touch carbon fiber body. Our new single pointed needle set includes US 4, 5, 6, 7, 8, 9, and 10. Our new Trendz Tunisian Crochet hooks are designed by crocheters and crafted by skilled artisans. Trendz acrylic crochet hooks allow for easy handling got slippery yarns and picking up stitches in a fast and easy manner. Tell us which of these products you're looking forward to most for a chance to win a Nova Platina Cubics Deluxe Interchangeable Needle Set! 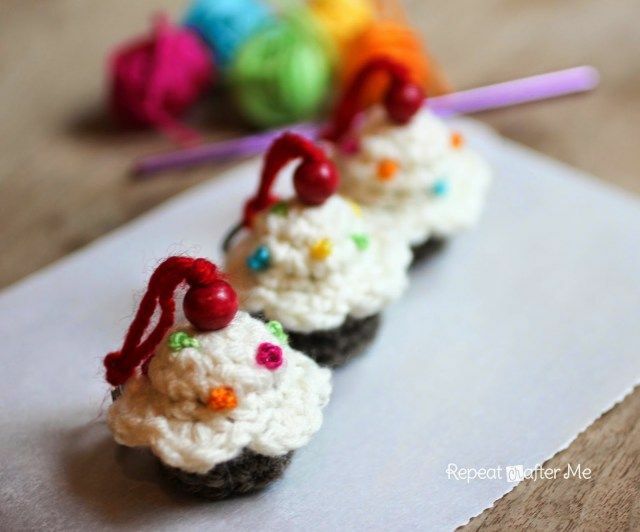 Don't forget to leave your Ravelry ID so we can contact you if you're the lucky winner! 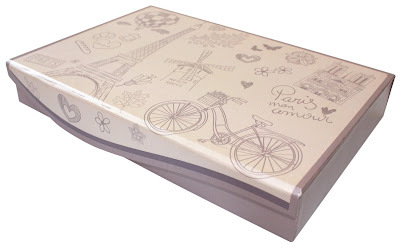 We'll announce the winner on the blog on August 28th!